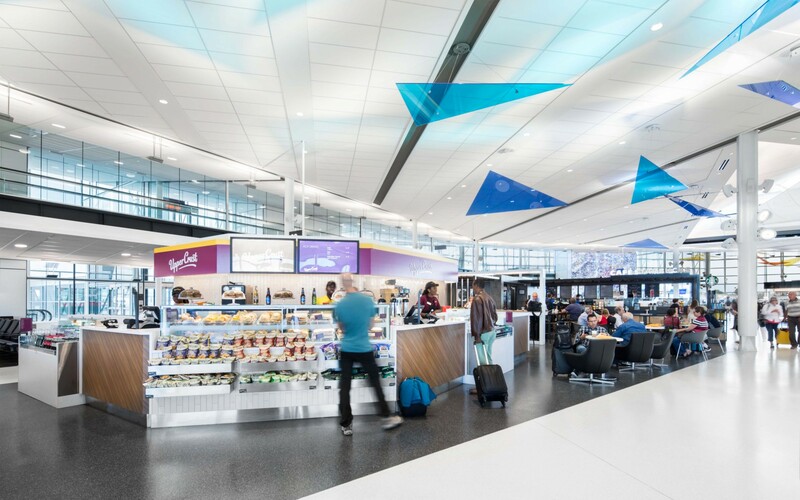 Lumenbeam luminaires get artsy and interactive for an installation in the Montreal-Trudeau Airport. The option to modify certain characteristics was important to us and the engineering team at Lumenpulse worked with us to develop custom features. 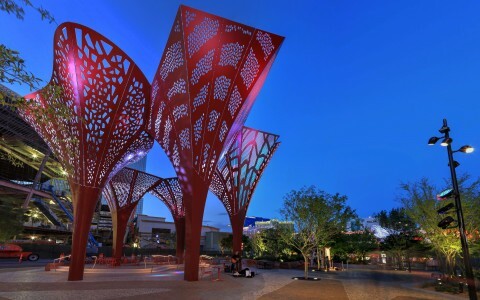 Making a public space memorable, especially a public space that is a waystation for people before they are shuttled to and from their destinations, is a challenging task. To the seasoned traveler, the spacious jetties of airports all begin to look the same, their vastness often takes on a uniform coldness that blurs in memory. 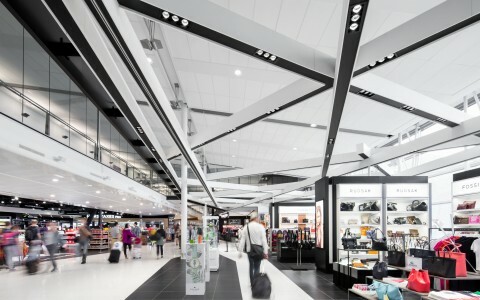 When the architects and the collaborative team were looking to dress the new terminal of the Montreal-Trudeau airport for success, their approach was one that would make the new wing rise above other airports and become memorable. The team at ATOMIC3 expertly rose to the task and created the installation, Nuée de verre with consulting studio 20K orchestrating the lighting. Nuée de verre is composed of a series of colored and transparent triangular panels suspended from the ceiling. 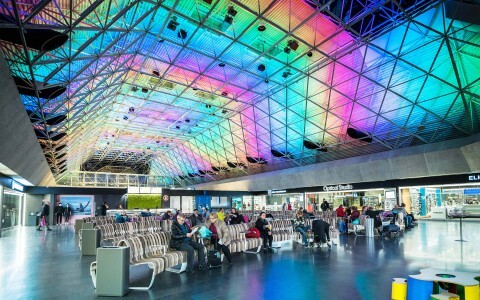 The dynamic installation changes color and movement based on the terminal's rhythm of activity, invoking the free motion of soaring birds and turns the public space into a memorable stage where people become participants. The importance to have to the installation not be static or simply pre-programmed, but instead come to life based on movement was important to the team of collaborators. Projectors from a variety of angles create movement on the ceiling above, an interplay of reflections controlled by how the people move below. When there is a departure, the installation reacts one way. But when there is an arrival at one of the gates, other sequences happen. The reflections that people see on the ceiling are always changing. Installing a digital work in an airport terminal is not without obstacles. "Our biggest challenge was the positioning of fixtures. Anchor points were limited, and angles were not always optimal. We had to develop an attachment rail system allowing for greater flexibility", said a representative for 20K. 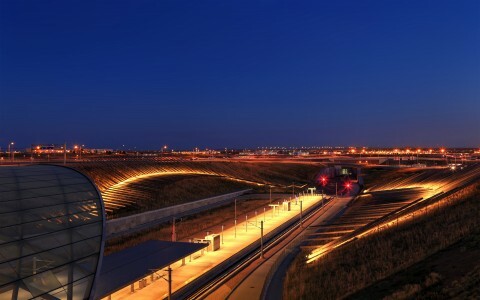 The flexibility and the digital control capabilities of Lumenpulse luminaires were paramount to the success of this project. "The option to modify certain characteristics was important to us, and the engineering team at Lumenpulse worked with us to develop custom features. The arrival of the newest C-BOX Ethernet was an asset because it simplified the implementation of the project and minimized integration costs," added a spokesperson for 20K. 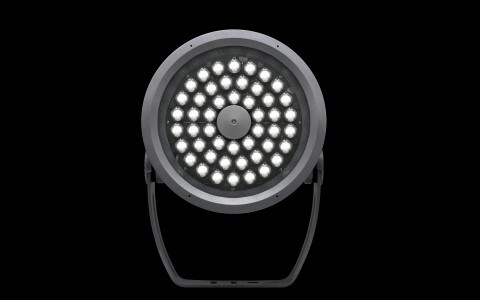 "We used customized versions of the Lumenbeam Grande with the electronic components of the RGB model, but in white, 3500K. 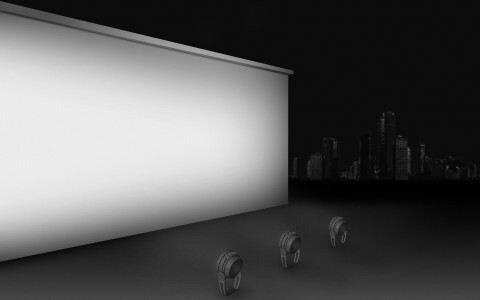 The internal controls were also modified to allow a 16bit variable dimming curve using an entrance signal of 8bit since the work is propelled by video systems." 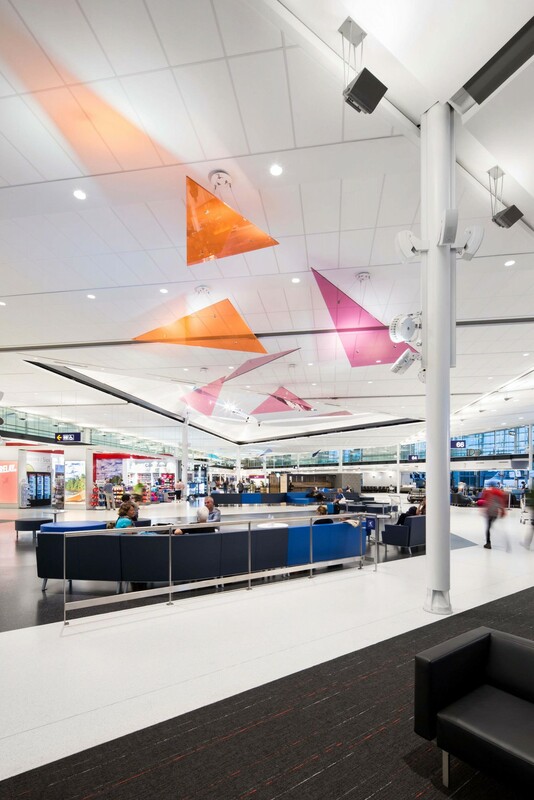 This project is a colorful and artistic way to structure the space, in the spirit of Montreal. 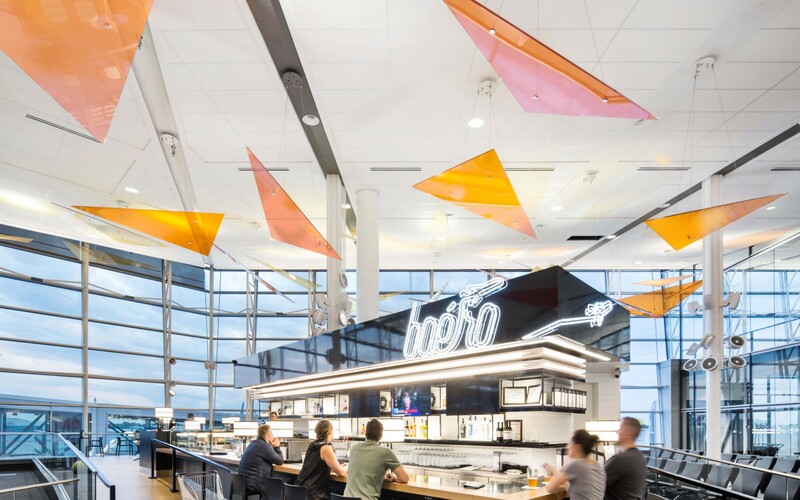 And for anyone who has had a chance to witness the installation, it is a memorable, singular work that subverts the drab stereotype of airports.